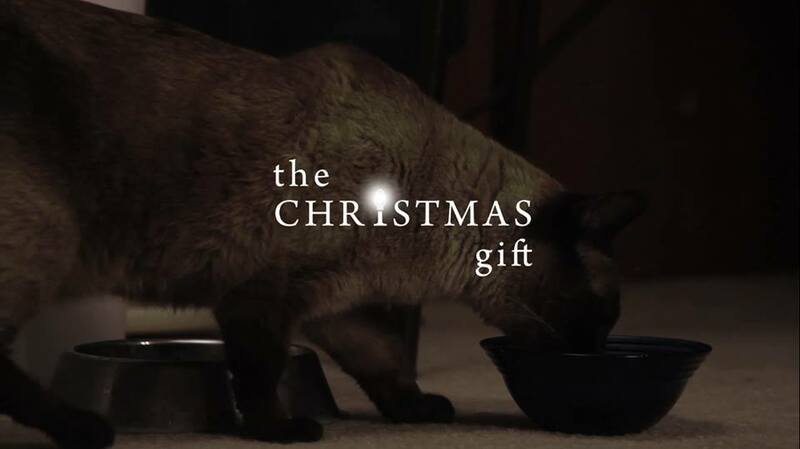 The Christmas Gift was written and directed by Chris Kato in 2013. He also plays the supporting role, Hector, in the film. 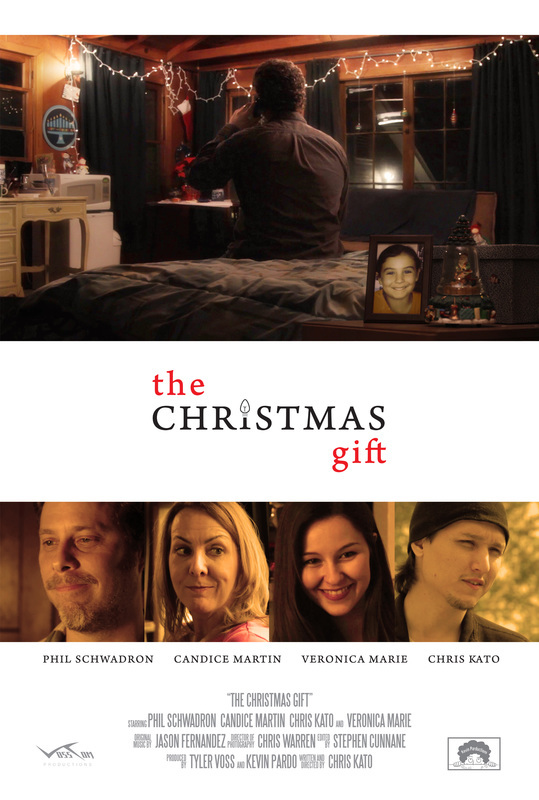 The film premiered at Life Fest Film Festival in 2014 and stars Phil Schwadron and Candice Martin. 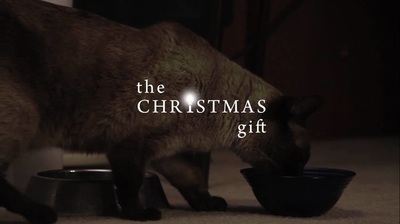 "This film came about last Christmas  when my family and I were Christmas tree-shopping. We're major procrastinators, so this was two days before Christmas. We just paid for our tree and the guys there were getting set to load it into our car. While this was happening, I noticed a fairly young 20-something Hispanic man standing in the back, just kind of waiting. When the guys made off with our tree, he approached the counter and asked if they were hiring. They said no and he thanked them and left. I watched him walk across the parking lot alone and it kind of struck a chord with me because I have this unknown sympathy for a man looking to work and be productive. But this was a Christmas tree lot two days before Christmas - the job would've been over in two days. Why would he think they would be hiring this late? And then I thought, what would make him this desperate to look for a job this close to Christmas? Did he have a family to support or was he saving up to buy his kid something special? From there, the seeds of my film was born. It percolated on the short drive home and when I opened my laptop, four hours later, The Christmas Gift was written. And that was the draft of the script we shot - first draft, imperfections and all. My character, Hector, was based off the man I saw, who will never know the impact he had on my film. Likewise, I'll never know the rest of his story. When Larry asks Hector in the film, 'Why are you being so nice to me?' and Hector replies, 'Because I've been there' - that was a direct reference to this incident. 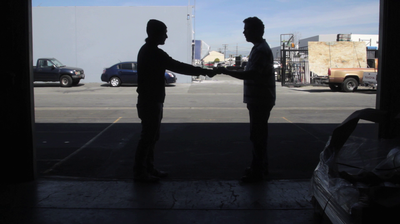 I sent the script to two young producers I knew, Tyler Voss and Kevin Pardo. They were both young and ambitious, but new, so I thought they could get their feet wet making something on a small scale and do it together, so they had each other's backs. They responded enthusiastically positive to the script and it was one of the smoothest shoots I've ever been on. Like all my films, the cast are all friends of mine. I've never held auditions on any of my films and there's always one 'good faith' casting per film. What that means is that I've never seen any prior work of the actor and I take the leap of faith that they'll be great in the part. This film, that was Candice Martin, who plays Molly. I had known her for a little while, but had never seen her work, despite knowing she was an actor. And of course, I'd never worked with her before. But she was a delight to work with and we've worked on something else since. Phil Schwadron was someone I'd known for years and have been dying to find something to work on together - and that was the main reason I decided to direct this film and not hand it off to someone else. And the beautiful and phenomenal Veronica Marie, who plays Grace, was cast in keeping with tradition - she's been in every film I've directed to date. The crew was a nice mix of new blood and my regulars. It makes every project interesting and there's a real communal feeling among everyone that makes the filming a breeze. I'm not sure who will end up seeing the film beyond the occasional festival audience that watches short films, but this was the first thing I've directed that was inspired by something in my own life and it's a resonating topic in the light of the recent economy. My wish for it is that it inspires people that relate to the circumstances depicted to not give up and keep the faith that things will work themselves out. The old cliché is that if your film touches one person then it's done its job. Well, in this case, that one person is me."